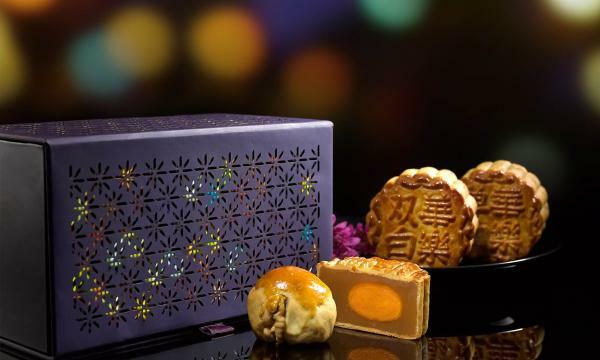 In a release, Carlton Hotel Singapore presents the vibrant colours of Mid-Autumn with its range of tantalising handcrafted mooncakes and intricate mooncake packaging. Freshly made from the finest ingredients, each piece of Carlton’s mooncake is a delectable masterpiece of homemade goodness and an excellent gift for your family, friends, business associates and loved ones! Cheesecake lovers are in for a treat! New this year is the delightful Mini Blueberry Cream Cheese Snowskin Mooncake. With the sweet and smooth cream cheese mousse enveloping the refreshing blueberry jam that is placed in the centre of this handcrafted snowskin mooncake, this perfect combination akin to the mouthwatering blueberry cheesecake is sure to be a crowd pleaser this MidAutumn Festival! Savour Carlton’s all-time bestseller - the addictive Mini Walnut Moontart with white lotus paste and egg yolk. For the health conscious connoisseurs, this signature mooncake also comes in a low sugar option without egg yolk. The Traditional White Lotus Paste Mooncake, comes without yolk, with single or double yolk, while the Traditional Red Lotus Paste Mooncake comes with double yolk. Mooncake (Low Sugar) without egg yolk. Baked to golden brown perfection, these mooncakes emanate a sensational sweet-smelling fragrance and taste that lingers in your mouth.